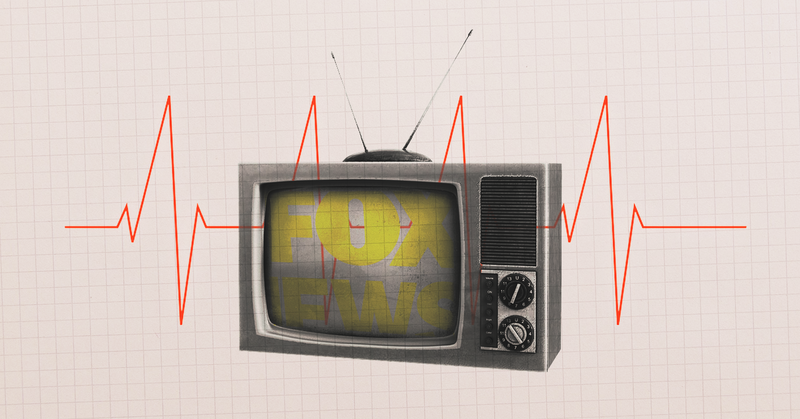 Why are Democratic presidential candidates throwing Fox News a lifeline? One might expect Democratic Party leaders to respond to this reporting by treating Fox as what it is: an irredeemably malevolent force that acts as a cornerstone of the modern conservative movement, a partisan actor every bit as devoted to the cause as the Heritage Foundation or the Republican National Committee, and much more effective. Instead -- at the network’s moment of maximum vulnerability -- they seem desperate to throw Fox a life preserver. Citing Mayer’s reporting, last month Democratic National Committee Chairman Tom Perez wisely announced that the party would not partner with Fox for Democratic presidential primary debates. Legitimizing the president’s propaganda outlet is not in the best interest of Democratic presidential hopefuls, their party, or their country. But rather than recognize that fact, the candidates have split on the issue. Sen. Kirsten Gillibrand has said she “would not mind” a Fox debate; Pete Buttigieg, mayor of South Bend, IN, has criticized other Democrats for not appearing on the network; and the pair have joined other announced and potential 2020 candidates including Sen. Amy Klobuchar, Govs. John Hickenlooper and Jay Inslee, and Reps. John Delaney and Tulsi Gabbard in sitting for Fox interviews in recent months. Meanwhile, Donna Brazile, Perez’s predecessor as DNC chair, joined the network as a commentator. A new flashpoint came Wednesday with Fox’s announcement that the network will host an April 15 town hall with Sen. Bernie Sanders, co-anchored by Bret Baier and Martha MacCallum. Fox’s press release went out just hours after the New York Times Magazine feature was published on the paper’s website, in what seemed like a clear effort by Fox’s PR team to counteract the piece’s impact and take control of the narrative around the network. Baier wrote on Twitter soon after the news broke that town halls with other Democratic presidential candidates “are in the works,” and Fox will surely use the Sanders announcement as a lever to compel reticent Democrats to commit. The DNC, which is obviously in a tough spot since it can’t publicly criticize the party’s own candidates without risking substantial blowback, put out a mealy-mouthed statement all but encouraging the candidates to partner with the network. The problem here is not that the Democratic candidates should somehow fear getting destroyed on air by hostile questions from Fox’s hosts. Baier’s reputation for independence is inflated, and Fox’s effort to brand MacCallum as a “straight news” anchor is a sick joke, but these are professional politicians who can surely handle the interviews. The problem is that the Democratic presidential candidates are allowing themselves to be used by the president’s propaganda network in its ongoing effort to sanitize its brand. To be sure, Democrats have had difficulty coming to grips with Fox’s role in the political ecosystem for years. 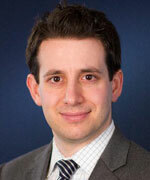 The party has maintained a blockade on the network’s participation in presidential primary debates since the 2008 cycle, and in the early days of the Obama administration, White House officials accurately characterized Fox as primarily a Republican political actor rather than a journalistic one. But Sanders and Hillary Clinton both partnered with Fox for a town hall in 2016, and White House officials including President Barack Obama himself continued to appear on the network throughout his tenure. But this current wave of fecklessness could not come at a more critical time. Fox is in a state of crisis, with a series of bigoted comments from the network’s stars driving advertisers to flee its programs. The situation is so dire that the network hosted advertising executives at its studio a few weeks ago in a desperate effort to convince them to continue buying ads. The upfront season -- during which networks hope to sell up to 70 percent of their ads for the year ahead -- is just weeks away, and the network is scrambling to avoid disaster. Fox’s ad woes create a key moment of accountability for the network -- a real chance to force change. And at this crucial moment, Democratic presidential candidates are giving the network cover, in what amounts to a massive strategic failure. And for what? Democrats argue that they need to go on Fox to reach voters who might not otherwise hear their message. But the candidate’s time is the most valuable commodity a political campaign possesses, and using it to try to win over people who would otherwise be tuning in to the likes of Sean Hannity strikes me as a poor decision. Fox’s propaganda is extremely effective, driving meaningful increases in Republican voter share and pushing its viewers to the far-right by drenching them in an unending flow of misinformation and hate. Polling shows that Republican Fox viewers are so firmly committed to Trump that it is a waste of time to try to change their minds. As for the non-Republican Fox watchers who are more politically pliable, they also utilize other news sources and can be reached through them. Why would you help them make that case? Fox will spend the 2020 presidential campaign trying to destroy whomever the Democratic nominee may be, just as the network tried to crush Clinton and Obama before. If that candidate is fortunate enough to be elected president, Fox will inevitably rebrand itself as the “voice of opposition,” as it did under Obama’s tenure, and dedicate itself to their defeat in 2024. That’s because Fox is a radical right-wing propaganda machine. We all know this. And the sooner Democrats act like it, the better.